Please note, due to essential maintenance work on the trust’s IT systems, library computers will be unavailable at these times. See the message below for further details. ‘In order to progress the server 2003 replacement project, Midlands and Lancashire Commissioning Support Unit IT Services will be carrying out essential maintenance work overnight on Wednesday 16th November from 22:00 until 10:00 on Thursday 17th November. Please contact Lynda Cotterill, Library Services Manager, on 01625 663923 if you have any questions about library computers. The Working with Substance Use online resources are for health and social care professionals. The main aim of these resources is to provide you with a basic understanding of a number of substance-related topics to inform and develop your practice. They include presentations, film clips from experts (both service users and professionals), animations, individual and group exercises, and practice scenarios to help apply your learning. They also offer suggestions for future study and personal development. Please note that the Library and Knowledge Service will not be staffed over this Bank Holiday weekend. You are still welcome to use the books, computers, self-service machine and other resources Saturday to Monday, using your staff badge to swipe into the building out of hours, but there will be no members of staff available for enquiries. We will be available once again from 8.30am on Tuesday 1st September. We hope you have a good Bank Holiday! We’d like to welcome 25 new people to East Cheshire who attended Corporate Induction yesterday, many of whom registered with the library. This included 5 new international nurses. 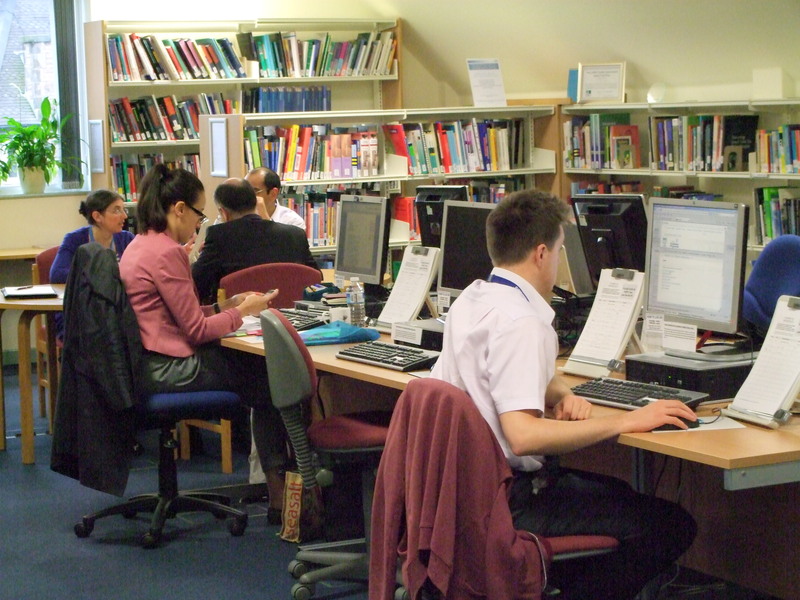 The Library and Knowledge Service is free and available to all of you to use: you can borrow books, use computers, ask for help with finding information for work, do e-learning, ask for training, or just come up and talk to us over a cup of coffee! If you haven’t already registered with us, you can do so any time you’re free! The Library and Knowledge Service is taking part in Learning at Work week next month, with a variety of free training available! You can learn how to use social media such as Facebook, LinkedIn, Twitter and others with Steve Collman, our Community Outreach Librarian, on 15th and 18th May, 12-1pm. Why not ask us for more information in any of these and other areas? Call 01625 661362 or email ecn-tr.stafflibrary@nhs.net today and find out what you could learn! The Staff Library’s E-resources librarian, Amanda Gardner, has been for training on how to use Lectora, the e-learning and authoring software. With this she will create new e-learning modules for East Cheshire staff members – keep an eye out for further information!